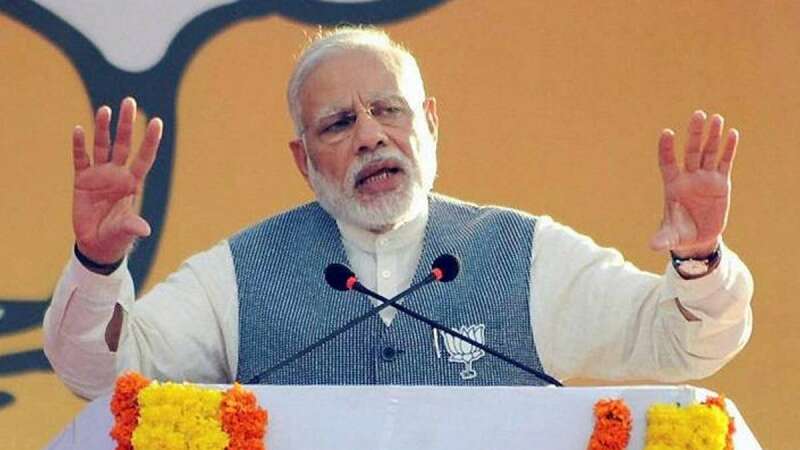 New Delhi : Prime Minister Narendra Modi on Saturday promised a 'comfortable Goa' if voters give Bharatiya Janata Party a comfortable win in the upcoming assembly elections. He also posted defeat threat over the opposition parties, which are allegedly doing overtime to prepare strong fight over minor issues like advancement of budget date and election dates. "The Opposition parties are working overtime, more than the efforts put in by Finance Minister to prepare the Budget, to criticise the advancement of the budget date. It is an indication that these parties have accepted defeat in the forthcoming polls," he said at a rally in Goa's capital Panaji. "Some parties have already consulted economists and intellectuals requesting them to prepare a draft against the Budget, even before it is presented on the floor of parliament...Their draft is getting ready although they don't even know what will be presented in the Budget," Modi said. Escalating his dig over opposition, PM Modi dared them to fight in elections with the real issues of development. He also talked about how Center is helping Goa in stabilising its most crucial tourism sector, which is the main source of living for many there. "My government in New Delhi has given more to Goa in last 25 months than what the state received from the Centre in last 50 years. There have been some facilities provided, such as visa on arrival, and Goa is a major beneficiary of such facilities," he said. "With minimum investment, tourism sector can prosper. Tourism also helps a cross-section of the society by creating jobs."